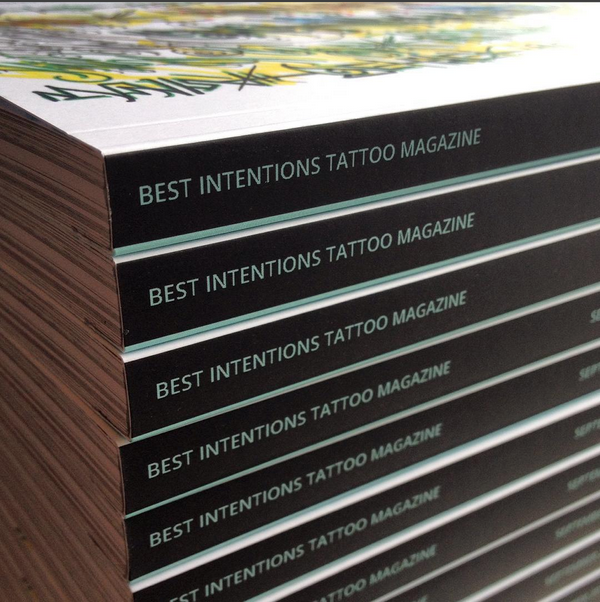 British Tattooer Ash Davies has just released a mammoth new tattoo magazine called Best Intentions which can be found here. Even if I weren’t a contributor I’d recommend that you buy a copy; this is DIY tattoo culture and supporting projects like this mean that cool stuff(tm) is going to be made by people who care about tattooing, not by people who just want to pump out a sellable product aimed at people who watch reality tv. I’m already working on something for volume 2. 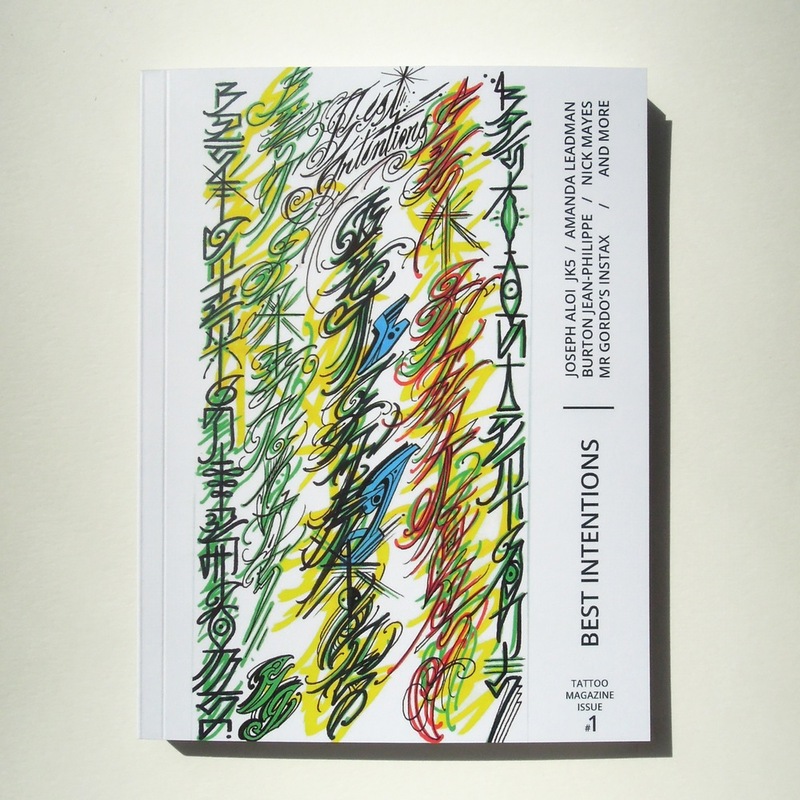 Cover by and includes stickers by Joseph Ari Aloi. Jesus, Shawn, will you update already? The UK has given us many amazing imports here in America- Mushy Peas, the Magna Carta, and most recently- Bradley Tompkins. I’m going to be indiscrete here and tell ya’all that there was a point where B.T. asked me to hold off on featuring his tattooing here on OV; he felt that he was still learning and that his work didn’t deserve to be show alongside some of the folks we’ve shown here. 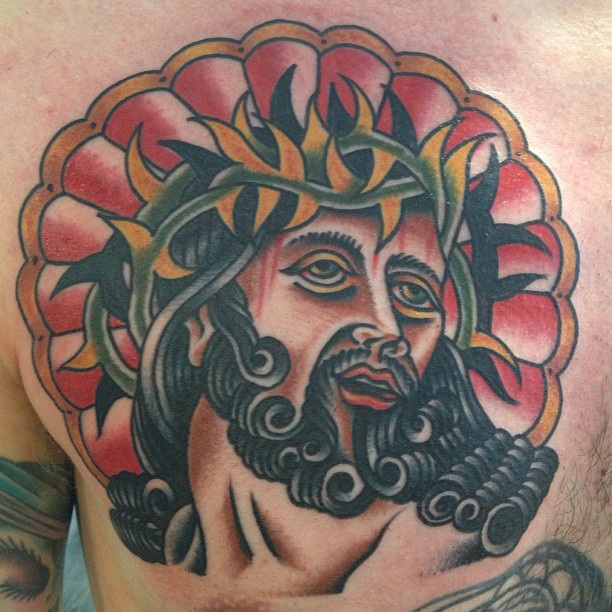 Those days are past, and Brad’s work continues to impress me with each new piece that he posts. As I sit here typing this update I’ve got another window open where I’m talking to a friend about how little space I have left to get tattooed; I’d be lying if I didn’t say that if I don’t save a tiny patch for Bradley I’ll regret it. We just have to figure out the where and when. The what will be much easier. 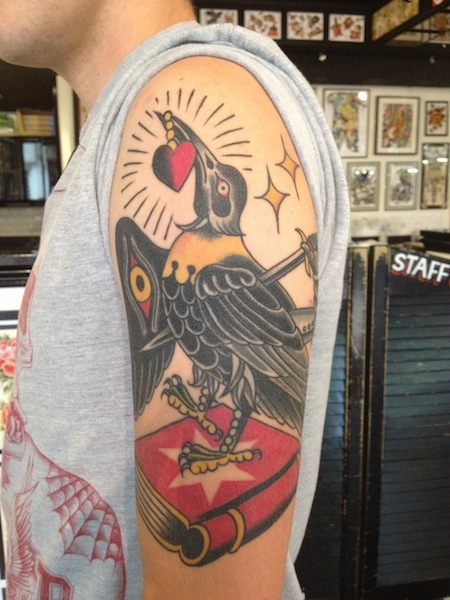 Another stellar tattoo by Swansea Tattoo Co.’s Bradley Tompkins. 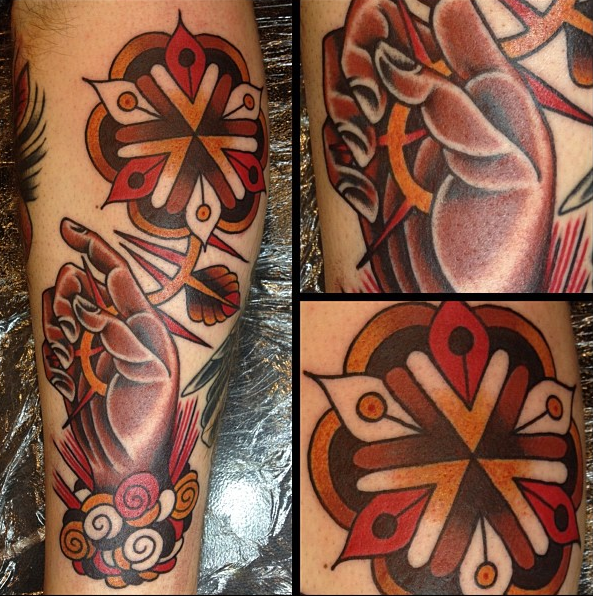 I really love his color palette- a lot more muted tones than standard ‘traditional’ style tattooing that sets it apart and makes a really dramatic aesthetic. Now I just have to find a way to get Bradley over to the States again so I don’t have to travel all the way to the UK to get something from him. You can follow Bradley on Instagram here. It’s always fun to watch a young tattooer progress; each new photo posted showing a refinement of technique and confidence in their work. One of the artists I’ve been watching since OV started is England’s Bradley Tompkins. He’s one of those guys that you start looking for open space to save just in case your paths cross- would be a shame to not get tattooed by him some day.